1. Create a Russian PlayStation Network account at http://eu.playstation.com/registration or use the existing one. 2. Log in to the Playstation Store on your console (PlayStation4, PlayStation3, PSP, PSP Go) or on the site. 3. Select "Redeem codes" (on PS VITA, first click the "Options" icon at the bottom of the screen). 4. Enter 12 promotional code symbols and click "Continue"
5. Follow the instructions on the screen to redeem your promotional code. You must enter the code through the! Site! In case of an error when entering from the console. !ATTENTION! 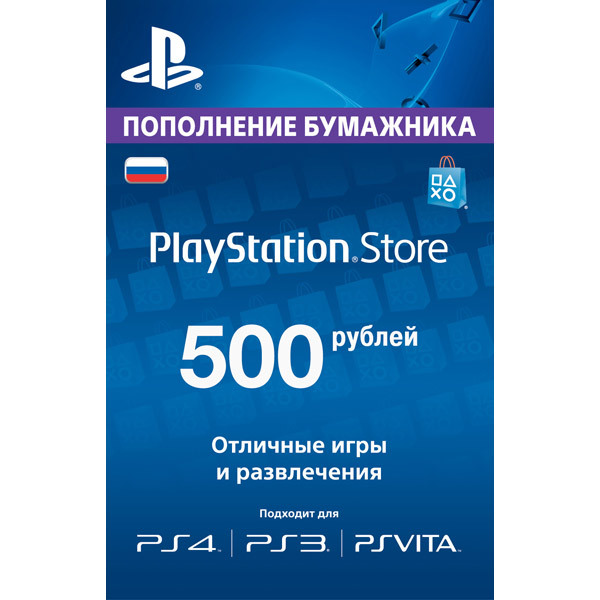 --- The card can only be used to replenish the PlayStation Network (PSN) wallet, users who have an account registered in the Russian PlayStation Store and have a wallet currency in rubles ---! ATTENTION! Positive feedback after SUCCESS activation allows you to adhere to the policy of the NCDC (low prices every day = below par)! Thank you in advance and look forward to seeing you again! Все прошло хорошо, ключ активировал. Благодарю! Отличный сервис, все быстро и надёжно! Все как надо и прекрасно, продавец-молодец!